Markland Hanley is a Dallas, Texas based boutique law firm that defends designers and manufacturers of technologically advanced products, including artificial intelligence and other autonomous products, in product liability cases. Among our many accolades, our firm has been named a “Tier One Best Law Firm” in Product Liability by U.S. News and World Report and Woodward White, Inc.'s Best Lawyers, in 2014-2018. One of the firm’s founders, Dale Markland, was previously the head of the Product Liability Practice Group of one of the national’s largest law firms, the international law firm of Vinson & Elkins, LLP. Markland Hanley’s other founder, Tara Hanley, also previously with Vinson & Elkins, LLP, is among the most highly respected product liability lawyers in the state of Texas. These firm founders have over 60 years of combined product liability defense experience. You can achieve a sense of calm and confidence in the product liablility storm if you are prepared for the new and different attacks plaintiffs' trial lawyers are likely to make on your company's products. Don't let the plaintiffs' bar get ahead of your defense. Our attorneys are ready to visit you at your location or, if you prefer, to connect with you via video/audio VoIP conference call to discuss your company's evolving product liablity legal needs and to help you safeguard your company against the likely impending attacks on its newest innovations. We offer our services to assist you in your heroic task of directing the defense of and appropriately resolving product liability litigation, including litigation involving your company's most advanced products. We will do everything within our power to provide you and your company with a sense of calm and confidence in the new product liability world. We are true believers in the idea that humanity has within its core the vision and the ability to make our existence on earth an ever-improving state. We fervently believe that technologically advanced products, including artificial intelligence and other autonomous products, offer humanity previously unimagined and unattainable benefits, including increased safety, improved health, greater productivity, more prosperity, and a more enjoyable existence. We want to assist you and your company in ushering this brave and exciting new world into existence. Our goal is to provide assistance to our clients in their defense of product liability cases involving their companies' advanced products that is superior to that provided by any other law firm. A team of diverse, enthusiastic, motivated individuals who are fired-up to help manufacturers usher in the bright future made possible by technologically advanced products – a team of defenders who are true believers. the existence of interrelated technical issues arising in product liability cases relating to the specific types of technologically advanced products that we defend, which facilitates our development and maintenance of our unparalleled knowledge. Our ability to provide highest quality legal services at an extremely attractive cost. Excluding genetically coded products, any designed-in autonomous function disengagement features activated under specified perceived conditions. And, it is our goal to learn during the course of our engagement as much more about the client’s products and technical issues arising from use of such products as is cost effectively possible. It is our goal to develop the facts of any specific case or engagement matter as efficiently and as effectively as can be done by any product liability firm. Finally, it is our goal to help our clients’ in-house lawyers and technical personnel to most appropriately defend their products against plaintiffs’ trial lawyers’ unjustified attacks and to preserve the future visions of technologically advanced product manufacturers and those of our other clients. We will assist your company in creating and sustaining a better future for humanity. Markland Hanley pledges to do everything within our power to fulfill these goals. Our firm is committed to employing a legal team of the best and brightest. We live in a multi-cultural and multi-ethnic world. By embracing diversity and taking advantage of varying view points and experiences Markland Hanley offers its clients the best strategies to prevail in court and to otherwise foster its clients’ interests. By assembling a diverse team we have created an organization which is truly uplifting and inspirational to its personnel- one in which each team member benefits and grows from interaction with their diverse co-workers, greatly fostering enthusiasm for the practice of law and for life. Markland Hanley was awarded by client, Navistar Inc., in 2008, its Law Department Diversity Recognition Award, given annually to one law firm of less than 250 attorneys that has fostered the idea of a diverse law firm. Markland Hanley is uniquely qualified to quickly and efficiently assemble a team of trial lawyers, paralegals, investigators and experts to powerfully and effectively advocate on your behalf. We tailor our advocacy to your needs and bring innovative ideas and time-tested strategies to the courtroom. The BOC Group/Linde North America, Inc.
Blackbrush Oil and Gas, Inc.
For those interested in employment with Markland Hanley, we strive to recruit and maintain a team of lawyers and support personnel who possess a set of common traits that are required to provide the highest quality legal representation in our areas of practice. We are not looking for individuals who believe that their past accomplishments are sufficient to carry them through their careers. We are looking for highly motivated, very hard-working individuals who will devote a very large percentage of their energy, time, and spirits to be all that they can be. We are looking for individuals who want to soar professionally and in life generally. This is a very demanding profession and our niche practice areas within it are even more so. Our clients and our team members expect all personnel to throw themselves into the task and to give it our very best efforts. Markland Hanley is committed to educating and grooming its employees so that they can become the highest quality trial lawyers and paralegals that they can be. Markland Hanley has been ranked by U.S. News & World Report and Woodward White, Inc.’s Best Lawyers as a Tier 1 “Best Law Firm” in Dallas for Product Liability Litigation-Defendants, in 2014-2018. Markland Hanley and its founding partners, Dale Markland and Tara Hanley, are listed by Martindale-Hubbell in the Bar Register of Preeminent Lawyers in the Field of Product Liability. Markland Hanley and its founders, Dale Markland and Tara Hanley, have been named “Texas Top Rated Lawyers” lawyers by the ALM/Martindale-Hubbell organization, in 2014-2018. Markland Hanley was awarded, in 2008, by its client, Navistar, Inc., its Law Department Diversity Recognition Award, given annually to one law firm of less than 250 attorneys that has best fostered the ideal of a diverse law firm. Dale Markland has been recognized by his peers, through Woodward White, Inc.’s Best Lawyers, as one of the “Best Lawyers in America” in the Field of Product Liability, in 2010-2019. Dale Markland has been selected through the Thomson Reuters Peer Selection Process as a “Texas Super Lawyer,” in 2013-2016. Dale Markland has been selected through the America’s Top 100, LLC’s Selection Process as one of “America’s Top 100 High Stakes Litigators” for Northern Texas in 2018. Tara Hanley has been listed in the ALM/Martindale-Hubbell Bar Register of Preeminent Women Lawyers, in 2011-2017. Dale Markland has been selected, through Woodward White, Inc.’s Best Lawyers, as one of “Texas Best Lawyers” in the Field of Product Liability Litigation, in 2013-2018. Dale Markland has been named the “Lawyer of the Year” for Product Liability Litigation, 2012, Dallas, Texas, by Woodward White, Inc’s Best Lawyers. 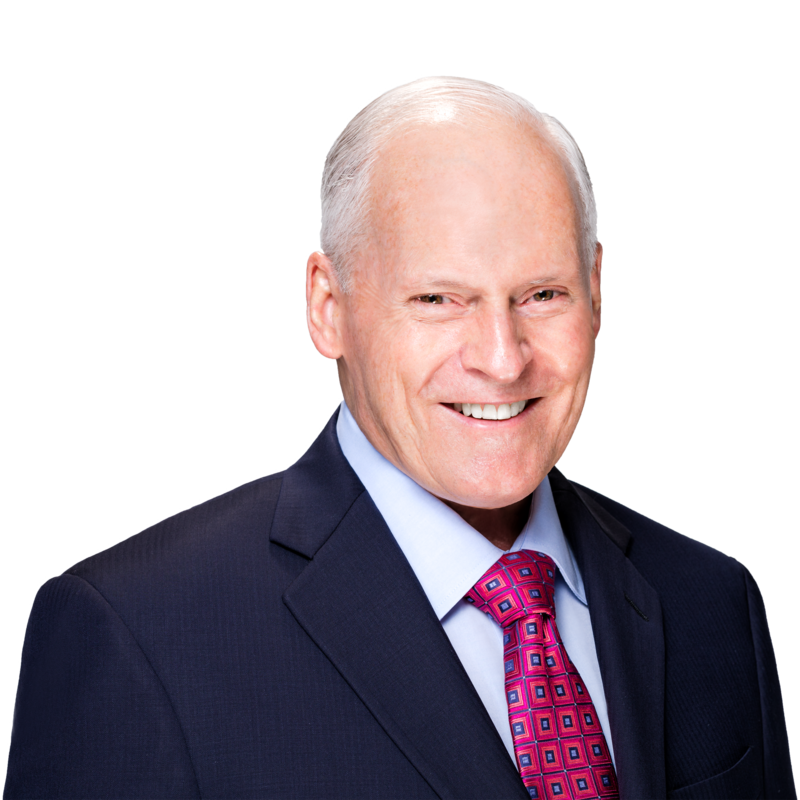 Dale Markland has been selected as one of the “Best Lawyers in Dallas” through the D. Magazine peer selection process, in 2015-2018. Dale Markland has been named a Fellow in the Texas Bar Foundation. Such Fellows are nominated by Texas Bar members and are selected from 1/3 of 1% of the membership of the State Bar of Texas based on an outstanding record in the legal profession and on commitment to support the community at large. Dale Markland was in the initial small group of outside counsel nationwide to be selected to be a “Sustaining Member” of the Products Liability Advisory Council, Inc.
Dale Markland’s defense verdict in a product liability case was selected by the National Law Journal as one of the best defense wins in the country in 2000. The decisions regarding perceived data intake goals e.g. the objects, events, and conditions that are chosen to be perceived by the vehicle’s perception devices. Both Dale Markland and Tara Hanley are experienced litigators, capable of handling complex litigation at the highest level. They have the ability to think “outside the box”; and seek solutions to presenting evidence and resolving cases. Their wealth of experience gives them an insight and confidence often missing in many of todays so called “litigation” attorneys. Yet, they remain people of the highest integrity whose handshake is a trustworthy bond in litigation matters. I consider them a formidable legal team. Dale is also a great teacher-whether in the courtroom, deposition, or training experts and other lawyers. A fine example of this is the outstanding lawyer his partner, Tara Hanley, has become under his mentoring. Tara’s first deposition was of one of my clients, and she has continued to practice with Dale since that time, becoming a very fine trial lawyer in her own right. Dale is one of the most effective people I have ever met…. I have been around my share of very sharp people, marines, doctors, lawyers, politicians, ambassadors, successful businessmen, and professional athletes – and Dale is one of the very best at what he does. I have learned a great deal from watching him work, and I am a better lawyer for it. Dale is a consummate professional and a worthy adversary. I have known Dale Markland for many years. We have had cases on opposite sides of the docket over the years, including a very complicated and serious products liability case…. Partners in my firm have also handled cases with Dale. Dale is an outstanding trial lawyer. He is well known amongst the trial bar as “one of the best.” Dale is always extremely well prepared, has a thorough knowledge and command of the technical and factual issues involved in the case and provides his clients with excellent representation. He handles very complex cases. His results at trial demonstrate the tireless preparation and attention to detail that has always been his approach to the development and trial of a case. His actions also reflect that he cares a great deal for his clients and devotes his undivided attention to their cases. You will not “outwork” him in a case. While he is an extremely hard worker and strident advocate, he is ethical and honest in his dealings with his adversaries. He is truly a trial lawyer to be respected and admired. I hold him in the highest regard. I would welcome the opportunity to provide further information on his behalf. Dale Markland and I worked opposite each other on a product liability case in which I represented the plaintiff and Dale represented the primary defendant. The case involved some of the most severe injuries I have ever seen, and as a result, Dale’s client had tremendous financial exposure. For several years we battled it out and as a result, I learned firsthand what an outstanding lawyer Dale is. In the twenty years I have practiced, Dale Markland is, quite simply, one of the best lawyers I have come across. Even though our case had countless depositions, his recall of the facts was unlike anything I have ever seen. Dale was always thorough and well prepared. As for the case on which we worked, Dale came up with a very clever defense theory that he then presented in a summary judgment motion. That effort directly impacted the manner in which the case was eventually resolved. To anyone considering legal counsel in high stakes or complex litigation, I highly recommend Dale Markland. I have had the opportunity to work against Dale Markland and Tara Hanley on major products liability litigation. In every instance, Dale and Tara have demonstrated superior expertise in knowing how to defend their client’s interest on the specific facts of those cases. Their knowledge of the proper experts for a given case and how to use specialists on a given set of facts is impressive. Beyond just knowing what to do, they are willing to…put the time in to prepare and execute at depositions and courtroom appearances. Dale especially has the extensive and wide-ranging experience necessary to properly plan and carry out complex vehicle or product inspections using a variety of specialized investigative tools and techniques. As respected adversaries, we consider Dale and Tara as some of the most effective and zealous advocates for their clients, and we offer our best wishes to both of them in their new Firm. Dale, l wanted you to know that it was real pleasure working with such a competent lawyer without an ego problem. Your deposition of [my expert] was probably the most effective I’ve ever had to sit through. Keep in mind the job offer. As a fire consultant and fire investigator, I have worked with Dale Markland on numerous fire related cases. Mr. Markland is one of the most knowledgeable, efficient attorneys I have ever worked with. His enthusiasm and attention to every detail, no matter how minor, are infectious to everyone involved. His enthusiasm is consistent from the very outset right to trial if necessary. I say, “if necessary” because in most of my involved cases the opposition’s contentions were destroyed by his superior grasp of every expert’s input. Mr. Markland is an outstanding attorney and a joy to work with. I recommend him without reservation. Dale is a highly skilled product liability attorney and a pleasure to work with. One of his greatest strengths is the ability to understand complex technical issues central to a case. This allows him to both provide sound advice to his clients and very effectively exploit the weaknesses in the opinions of opposing experts. I highly recommend him. Dale Markland and I met more than thirty years ago to discuss the general process of injury causation analysis and its specific application in solving an unusual death case as to causation. Since then, Dale has engaged me in a string of causes on both sides of the docket and I have been impressed with his untiring style, depth of pre-engagement subject matter knowledge, technical understanding, and ability to grasp the interaction nuances of multidisciplinary fields. On or off the field, Dale has proved to be tenacious in overturning all rocks to collect data not in matters of just legal interest, but also to assist others in accessing evidence whether that be in medicine or engineering not to mention areas beyond the scope of my expertise. During my more than three decade tenure as an injury causation consultant and multiple appearances as an expert, I have found Dale Markland to be equally effective before the bench earning the respect of the court and opposing counsel alike. Dale comes across with well-founded arguments supported by the appropriate experts as necessary. Needless to say, Dale Markland has not lost too many cases. With the prospect of complications caused by novel technologies in the automotive and other environments looming on the horizon, Dale Markland and his team are uniquely positioned to be of aid in resolving conflicts that no doubt will arise with the increased operation of autonomous vehicles and other autonomous products by the public. Dale Markland is the former head of the Product Liability Practice Group for one of the nation’s largest law firms, the international law firm of Vinson & Elkins, LLP. He is one of the two founders of Markland Hanley, a boutique litigation firm located in Dallas, Texas that defends manufacturers, including manufacturers of autonomous and other advanced products, in product liability cases. The firm has been named by U.S. News and World Report and Woodward White, Inc.’s Best Lawyers as a Tier One “Best Law Firm” in Dallas for Product Liability Litigation-Defendants, in 2014-2018. Dale has tried more than 200 cases to a verdict in state and federal courts. Dale has a national practice and has defended cases pending throughout the United States. In certain recurring types of litigation, Dale has served clients as national consulting counsel and as regional counsel. Dale has been named the “Lawyer of the Year 2012 Product Liability Litigation, Dallas, Texas,” by Woodward White, Inc.’s Best Lawyers, and has been recognized by Woodward White, Inc.’s Best Lawyers as one of the “Best Lawyers in America” in the Field of Product Liability, in 2010-2019, through the Thomson Reuters selection process as a Texas “Super Lawyer,” in 2013-2016, by America’s Top 100, LLC’s selection process as one of “America’s Top 100 High Stakes Litigators” for Northern Texas, in 2018, by Woodward White, Inc.’s Best Lawyers, as one of “Texas Best Lawyers” in the Field of Product Liability Litigation, in 2013-2018, by D Magazine’s selection process, as one of the “Best Lawyers in Dallas,” in 2015-2018, and, by ALM/Martindale-Hubbell, as a “Texas Top-Rated Lawyer,” in 2013-2018. He has been selected, in 2017 by the Dallas Morning News, as a “Leading Lawyer in Texas.” Dale is a Sustaining Member of the Product Liability Advisory Council, Inc. Dale has also been named a Fellow in the Texas Bar Foundation. Such Fellows are nominated by Texas Bar members and are selected from one third of one percent of the membership of the State Bar of Texas based on an outstanding record in the legal profession and on commitment to support the community at large. Dale has been rated AV by the Martindale-Hubbell legal directory every year since 1980. Dale has a particular interest in defending the manufacturers of autonomous products, including those controlled through artificial intelligence. Dale serves as co-head of the Product Liability Advisory Council, Inc.’s Autonomous Vehicles and Products Action Group. Dale has defended hundreds of product liability cases representing manufacturers of high tech equipment, including computers and semiconductors, automobiles, all classes of trucks, buses, pharmaceuticals, medical devices, farming and industrial equipment, plastics, chemicals, various toxic substances, HVAC systems, oil field equipment, and vehicle components, including seatbelts, advanced restraint systems, rollover protection systems, brakes, tires, and fuel and electrical systems. In the automotive products liability field, Dale has defended manufacturers in the most serious cases, including crashworthiness cases and post-collision fuel fed fire cases, and cases involving death, quadriplegia, paraplegia, brain injury, and severe burns. Dale has experience defending truck manufacturers in product liability cases. Assistant District Attorney, Dallas County, Texas 1974-1977. Scheduled Keynote Speaker, Autonomous Vehicles and Product Liability, Vehicle Electronics and Connected Services Conference 2019, Gothenburg, Sweden, April, 2019. “A Suggested Design Phase Process To Assist In Establishing At Trial That The Designer, Manufacturer, Or Incorporator Of The Decision-Making Framework Of Autonomous Vehicles Or Vehicles Equipped With Advanced Driver Assistance Systems Set Appropriate Safety Goals And Did An Exceptional Job Of Pursuing Those Safety Goals Such That The Design Of The Framework Is Not Unreasonably Dangerous And Thus Not Defective Under Applicable Law,” 2018. Moderator, Product Liability Advisory Council, Inc.’s Autonomous Vehicles and Products Action Group Panel Discussion Regarding a Suggested Design Phase Process, Product Liability Advisory Council, Inc.’s Fall 2018 Conference, Dana Beach, California. “The Unjustified Product Liability Attacks Plaintiffs’ Trial Lawyers Will Most Likely Launch Against Present Day Advanced Driver Assistance Systems,” 2018. Panelist, Product Liability Advisory Council, Inc.’s Autonomous Vehicles and Products Action Group Panel Discussion Regarding Likely Plaintiffs’ Trial Lawyers’ Attacks On Advanced Drivers’ Assistance Systems, Product Liability Advisory Council, Inc.’s Fall 2018 Conference, Dana Point, California. Tara Hanley has extensive experience defending manufacturers of products in complex products liability cases pending throughout Texas and around the United States. 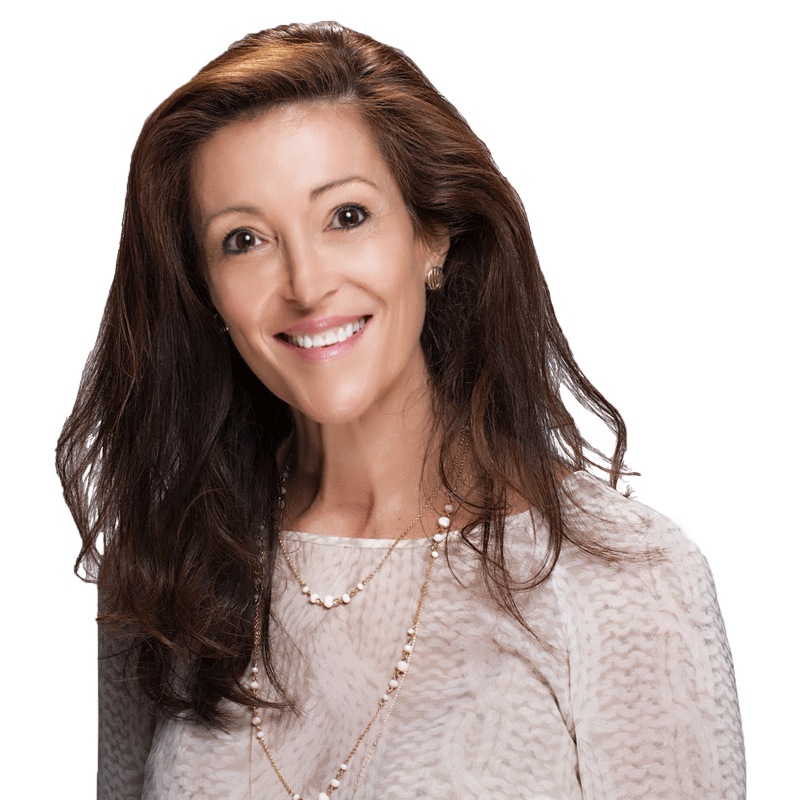 Before founding Markland Hanley with Dale Markland, Tara practiced for fifteen years in the product liability group at one of the nation’s largest law firms, the international law firm of Vinson & Elkins, LLP. Markland Hanley, a boutique product liability litigation firm based in Dallas, Texas, concentrates on the defense of manufacturers of technologically advanced products, including artificial intelligence and other autonomous products, in product liability cases. The firm has been ranked by U.S. News and World Report and Woodward White, Inc.’s Best Lawyers as a Tier One “Best Law Firm” in Dallas for Product Liability Litigation-Defendants, in 2014-2018. Tara has secured numerous final summary judgments on behalf of product manufacturers and has extensive experience defending manufacturers in a wide variety of product liability litigation, including crashworthiness cases, post-collision fuel fed fire cases, and cases involving allegations of defective design, manufacture, and/or marketing against manufacturers of automobiles, heavy trucks, buses, tractors, rollover protection systems, pharmaceuticals, farming and industrial equipment and components, plastics and chemical products, tires, HVAC systems, oil field equipment, and vehicle components, including seatbelts, brakes, and fuel and electrical systems, among others. Tara has a national practice and has defended cases pending throughout the United States. In certain recurring types of litigation, Tara has worked extensively with Dale Markland on teams of lawyers serving clients as national consulting counsel and as regional counsel in mass tort litigation. In addition to her experience representing major manufacturers in wrongful death and catastrophic injury product liability cases, Tara has a wide range of experience representing manufacturers and other corporate defendants in cases involving breach of contract, alleged exposures to chemicals and hazardous wastes, general business disputes, employment matters, and warranty and deceptive trade practices actions, in both state and federal courts. Tara has been recognized by ALM/Martindale-Hubbell as one of Texas Top-Rated Lawyers for 2001-2017 and was the youngest Vinson & Elkins lawyer to receive an AV rating in Martindale-Hubbell at the time she received that recognition. Attended Annual American Conference Institute’s Drug and Medical Device Litigation multi-day Course, multiple years, 2007-2016. While in law school Brian worked full-time as an operations manager for UPS, managed a facility start up that grossed $27M in revenue in its first year, and volunteered at the Texas A&M Law Clinic where he advocated for clients in a wide variety of disputes, including matters involving divorce, child custody, visitation and protective orders. During his final year in law school, Brian founded a logistics technology and transportation company that grossed $725k in revenue in its first year of operations. Brian is presently concentrating his practice on technological innovations that require creative and proactive legal guidance and on defending manufacturers of advanced technological products, including artificial intelligence and other autonomous products that will not only move people and information into the 21 st century, but also move information and product liability law forward as well. Brian is engaged with Markland Hanley with the objective of utilizing his experience in the transportation and mobility industries to assist the firm in its defense of manufacturers and commercial users in the emerging field of autonomous product and artificial intelligence product liability. Brian Wcislo also practices in the area of complex litigation and corporate law. He represents clients with respect to business litigation matters and advises corporate clients in connection with corporate strategy, including M&A, financing, and other complex business transactions. Brian also advises business owners, including those in the transportation industry, and investors regarding federal and state agency compliance. 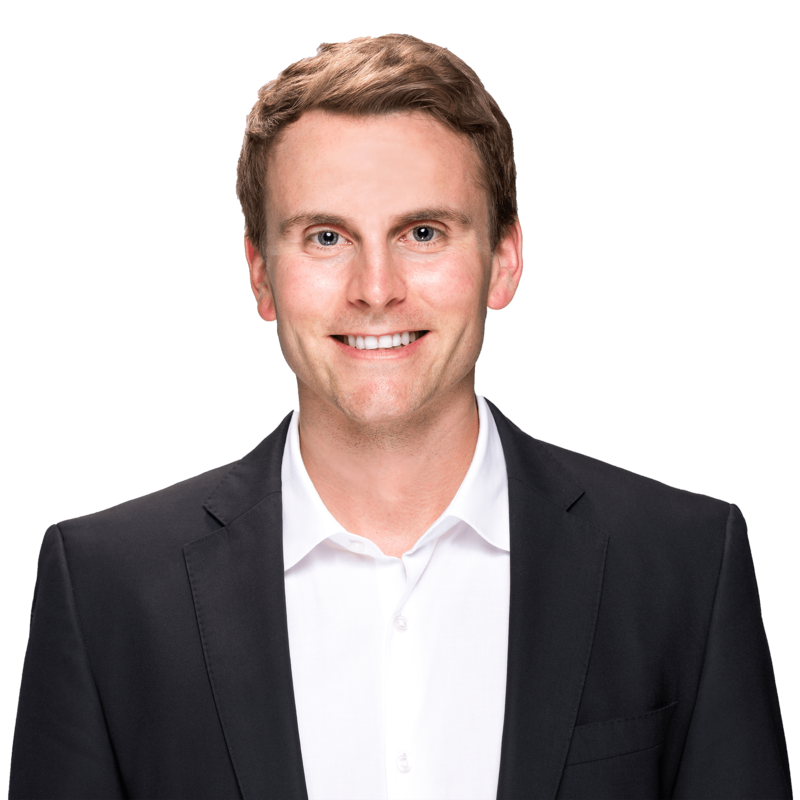 Brian has assisted in the representation of corporations in complex arbitration proceedings and has experience in mediation, motions practice, trial preparation, and all phases of discovery. Brian regularly hones his courtroom skills performing pro bono work on behalf of individuals in disputes involving commercial theft, record expungement, divorce, and child custody and support. Attended the Product Liability Advisory Council, Inc.’s Fall 2017 Conference, Dallas, Texas, November 2017. 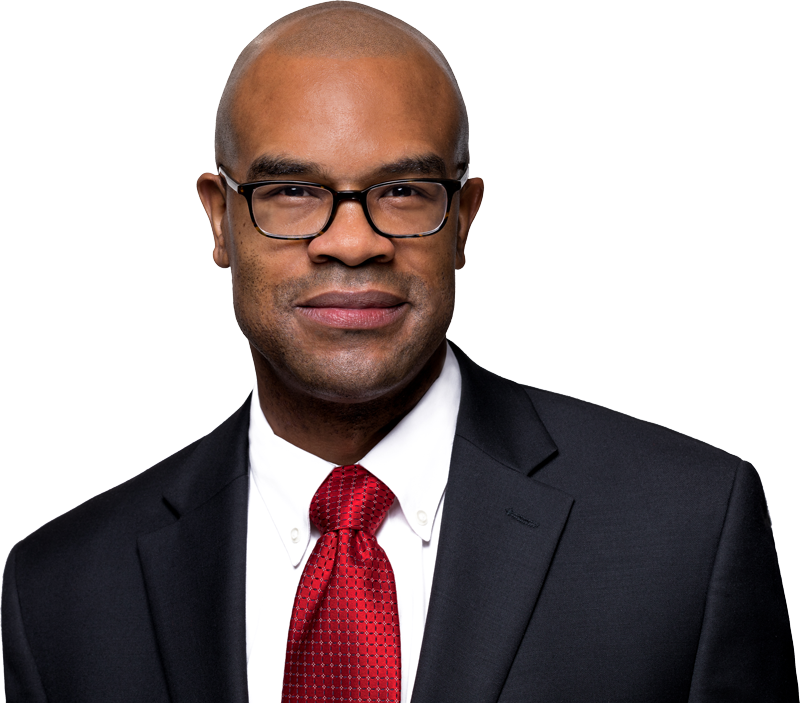 Julius Jenkins is a Legal Assistant at Markland Hanley, a part time law student at the newly accredited University of North Texas at Dallas, College of Law, and a potential lawyer in training with Markland Hanley. Julius was a member of the Division of Enrollment Services at Southern Methodist University as an Information Systems Specialist prior to joining Markland Hanley. Julius excels in organizing information by analyzing, collecting, and summarizing information as well as maintaining client confidence by establishing personal rapport and understanding service needs. Julius served as a judicial intern for the Hon. Brenda H. Thompson and Hon. Ingrid Warren during his inaugural law school summer. In 2016, Julius was awarded the University of North Texas at Dallas, College of Law Dean’s Scholarship, and in 2017 he was awarded the Clifford L. Davis and J. L. Turner Scholarships. Julius is engaged in a variety of student organizations. He is the Vice – President of the Public Interest Law Student Association, a Student Representative to the State Bar of Texas, and a member of the Black Law Student’s Association. Julius has an interest in the legal practice area of product liability relative to autonomous products. University of Texas at Dallas, M.A. Political Science – Constitutional Law, with Honors, 2013. University of the District of Columbia, Certificate – Non-Profit Management, 2010. 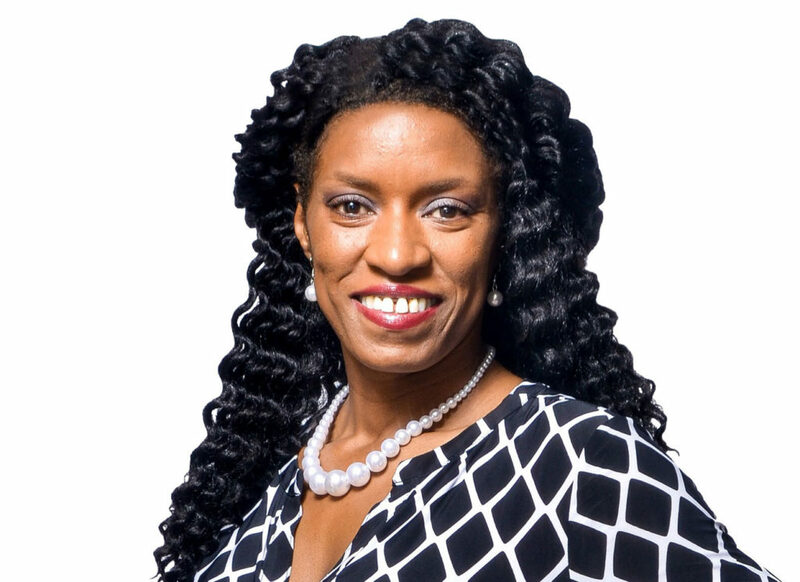 Shanica Garrison is a seasoned legal para-professional with over twenty-five years of experience. She has acquired vast legal knowledge while working side by side with top-tier lawyers in Texas, New York and Georgia. Shanica began working as an immigration paralegal in New York City assisting individuals with obtaining U.S. citizenship, work authorization, cancellation of removal by deportation order, student visas, and she conducted mock asylum interviews. After moving to Atlanta Georgia, Shanica transitioned from immigration to bankruptcy law. She was instrumental to the resolution of financial disputes between debtors and secured creditors. In 2014, Shanica became a part of the Markland Hanley team as the firm’s Legal Administrative Assistant. Since that time, she has accumulated extensive experience assisting in the handling of product liability and personal injury litigation, and particularly relative to the firm’s focus on autonomous products. Shanica is an integral part of our unique boutique law firm.